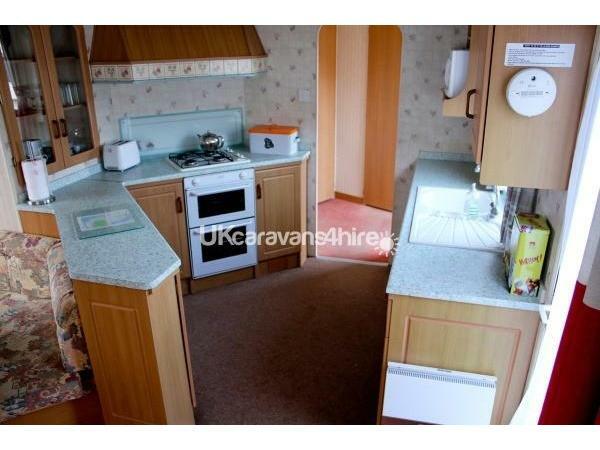 Additional Info: Available to let - This lovely Homely 28 ft length x 12 ft width Static Caravan, which makes all the difference than a 10 ft width Caravan, and means its more spacious all round. 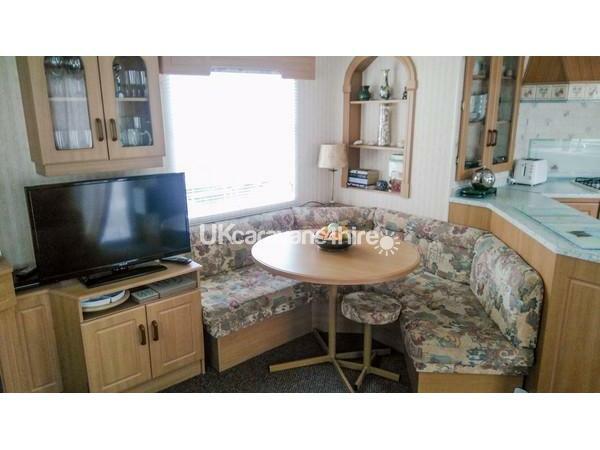 It's immaculately clean and homely with 2 bedrooms, and has just undergone refurbishment with new carpet all round, a beautiful New living room Rug with New Venetian Blinds within the Living room and Kitchen areas - located at Bryn Morfa quite family park Conwy. 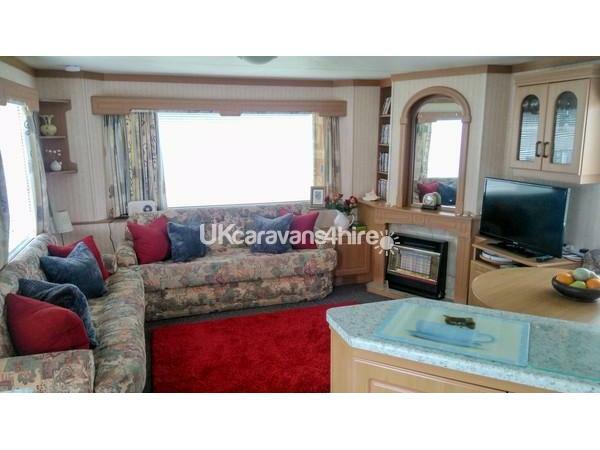 It consists of a spacious living room with a gas fire, and has additional heating all round, it has a 32 inch Flat screen TV inc freeview, and a DVD player, there is a Radio, free Wi-Fi available, dining table with chairs, it can sleep up to 5, as it has an additional pull out bed in the lounge. We also provide a huge range of DVD's and games for all the families entertainment, including cards and dominoes.The kitchen is well equipped and has plenty of cupboards great worktops for cooking it has a fridge with freezer compartment, 4 gas hob cooker with oven and separate grill, microwave, sandwich toaster, bread toaster, kettle, coffee/tea pots, there are sufficient pans for cooking as well as Pyrex dishes and bowls, and plenty more - sufficient cutlery & crockery are also provided, we provide an iron and ironing board, hairdryer and Hoover. It has a spacious Shower room with toilet and wash basin.Their are 2 bedrooms the main double bedroom which has a dressing table, double wardrobe and plenty of cupboards, the other with twin beds again with cupboards and a wardrobe.With its own large grassed area outside, their are 2 garden benches, garden table and chairs and a sun lounge - private parking outside the caravan. We require a non-returnable deposit of £75.00 to secure your booking. Holiday to be paid for in full 3 weeks prior to your arrival - Payment by cash - bank transfer or cheque are accepted. 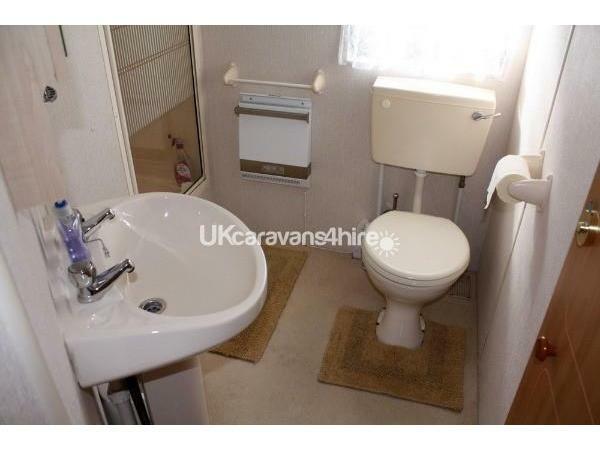 Plus a £60 cleaning and damage deposit is required and will be paid back within 3 days after your stay if this caravan is left clean and tidy and no damages are found. 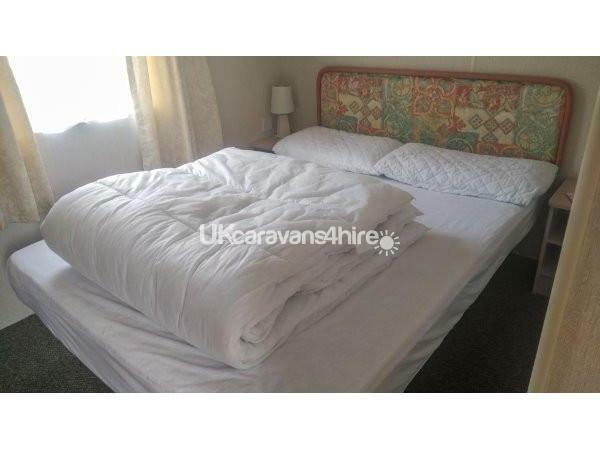 Our lovely immaculately clean homely Caravan has 2 bedrooms and we supply - 1 x Double Duvet 4 x Pillows Plus Mattress and Pillow Protectors for the Main Bedroom and 1 of each single Duvets plus Pillows and Protectors for the Twin Room (the twin beds will pull together to make one double bed). You're going to need to bring your own Sheets/ Pillow cases - Duvet covers, tea towels & towels. All cleaning products including washing up liquid/kitchen cleaner, shower and toilet cleaners are provided and cleaning cloths, as well as hand soap, kitchen and toilet rolls, along with Cling film/Tin foil/Salt/Pepper/Vinegar and cooking oil – we also supply an Iron and Ironing board/Hoover plus a hairdryer and a child gate and on the site there is a launderette. There are 2 wooden benches, table and chairs as well as a sun lounge, plenty of seating for all the family. 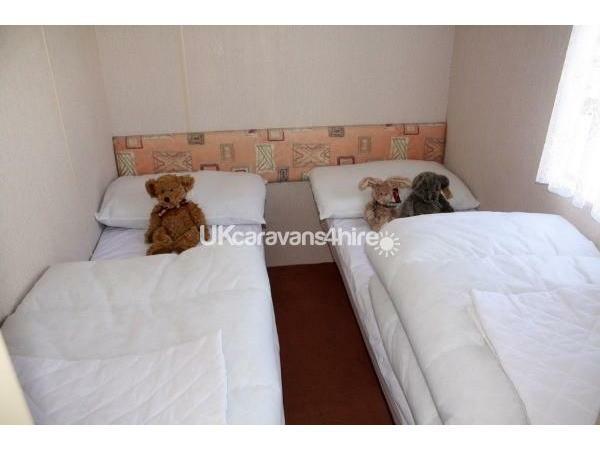 We hope you enjoy your stay here and also that you please leave this caravan clean and tidy as you find it. We will only hire out this caravan to people who are considerate to everyone else on the park - also that children need to be supervised. 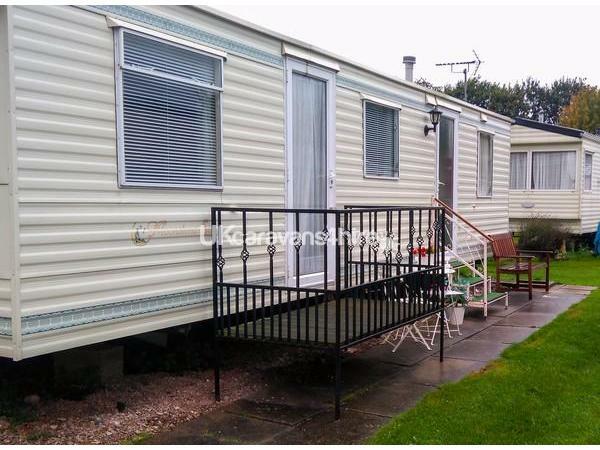 This caravan is located on Bryn Morfa caravan park, which is a well established quite family park, it sits at the bottom of Conwy Mountain and is just outside the Historic Conwy town. On the site is has its own Reception and its own Bar/ Restaurant which has great reviews from Tripadvisor. Their is also a Traditional pub opposite which serves good food as well, along with having real ales. The caravan park also has a bus stop outside the site, and the buses run frequently, they travel along the coast, with plenty of stops for seeing different places, there are also local taxi companies available at all times. Our caravan on Bryn Morfa is only a 5 minute walk away a from a lovely sandy beach and beautiful Marina, a great Holiday for families and those who like walking/cycling and love to be near the sea. 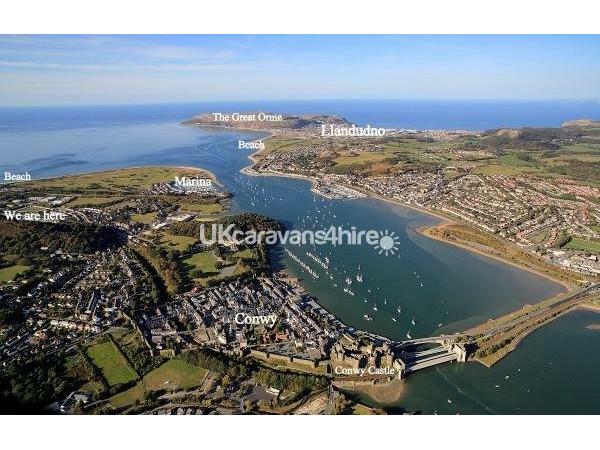 Being only a 3 minute car or bus ride away from The walled town of Conwy, with it's beautiful surrounding countryside its the perfect location for your holiday. Conwy is well known for its smallest house in Britain with its historical buildings, Castle and quay side. You can buy locally caught, fresh Crabs and Lobsters there, Conwy has lots of eating houses cafes, tea rooms and has the best fish and chip shops around also with lovely pubs & restaurants. It has great unique shops as well as food stores. Llandudno is not far away for more things to do including tram trips up the Great Orme, also visiting the Elegant Victorian pier which has lots of seaside novelties and food stalls, as well as amusements, its well known for its beautiful long promenade and also has a band stand that allows some small local bands to perform freely to the walkers on the prom at times. Llandudno has plenty of shops/bars & restaurants in the town, it has a theatre which is situated in the centre of the promenade in front of Llandudno swimming pool. Lots to do for all the family no matter what the age. 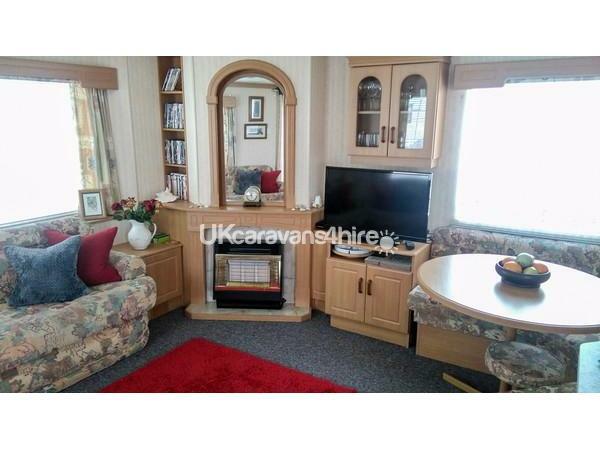 Had a lovely, relaxing time in the caravan. It was very clean and provided us with everything we needed which made it easy for us to settle in. Catherine kept us up dated with information and any advice we required running up to our stay. 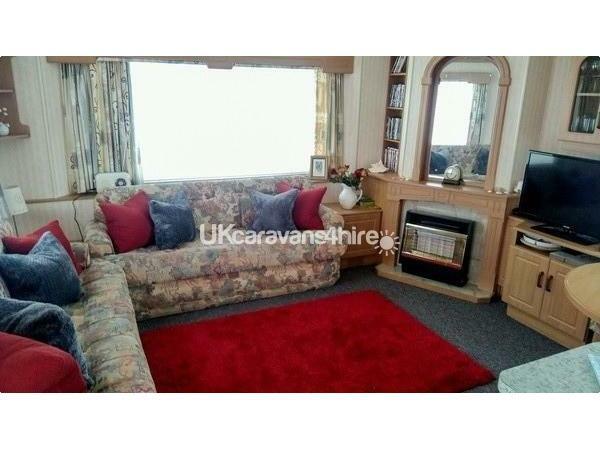 The caravan is in a lovely area and it was a pleasure to come back to after trips out site seeing.